I really hate the boring covers of the notebook and wanted something that I really liked. Something fun and unique. 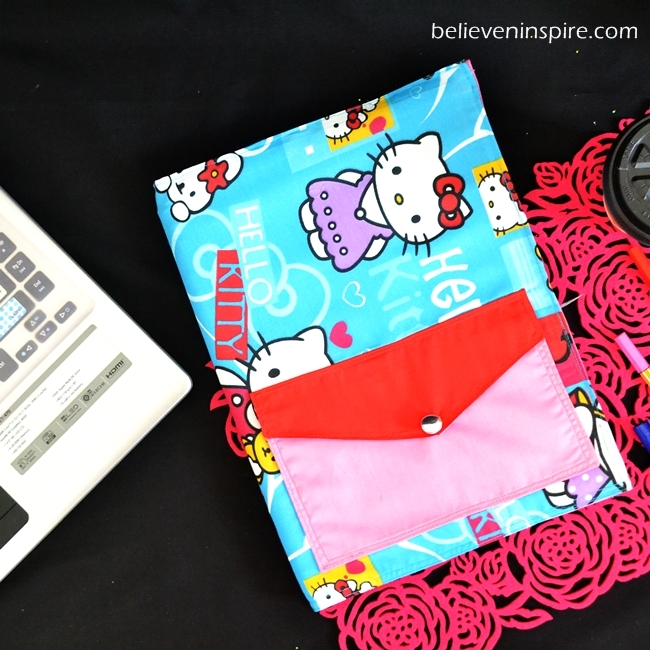 Browsing through my fabric collection, I found some options which suited best for this project, in the end it was the Hello Kitty pillow cover fabric that won. It’s surprising how many things you can make out of one pillow cover. I’ve made two other projects from the same fabric, a large cosmetic pouch (Vera Bradley inspired) and a manicure pouch and now the notebook cover. And, I still have some left to make a mini pouch or something. Yeay! Before we begin, I would like to point out one thing, the measurements of this projects are not fixed. 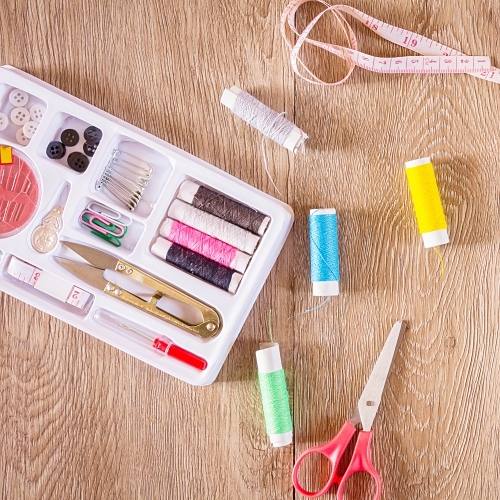 We can each have different sized notebooks, and the challenge here is to make something that fits perfectly on the book, which would require fitting sessions like when you’re sewing a dress for yourself. I’ll mention the steps when the fitting is required so no worries. Measure the width, height and depth of your notebook, as represented by the arrows. 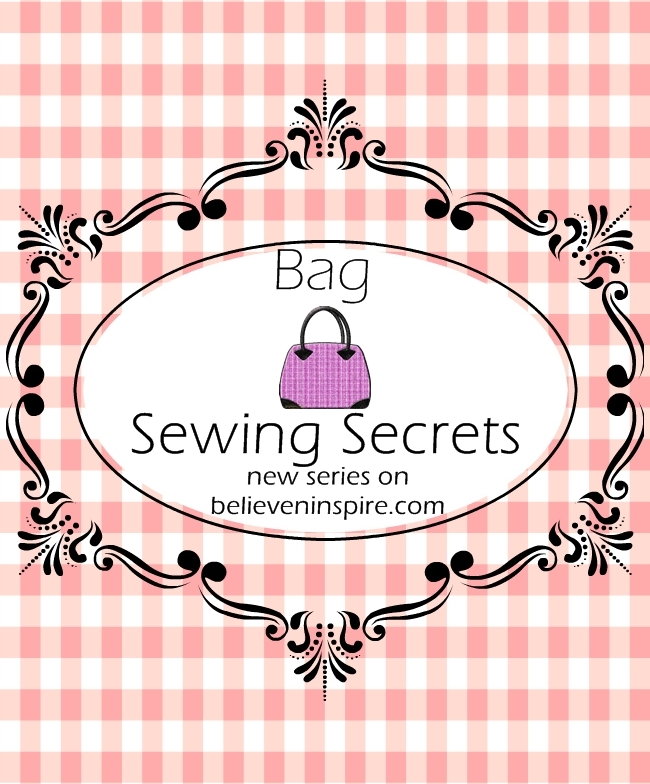 Multiply the width into two, add the height to it and add 1 inch for seam allowance. The total of all this will be the width of your exterior and lining panel. For the height of the panels add 1 inch to the height of the notebook and cut. Here are the measurements of my NOTEBOOK. Cut out the exterior and lining fabrics based on the measurements. Cut out two rectangles measuring 5”xheight of your exterior fabric from the accent fabric. 5”x8” rectangles from accent fabric for the pocket. 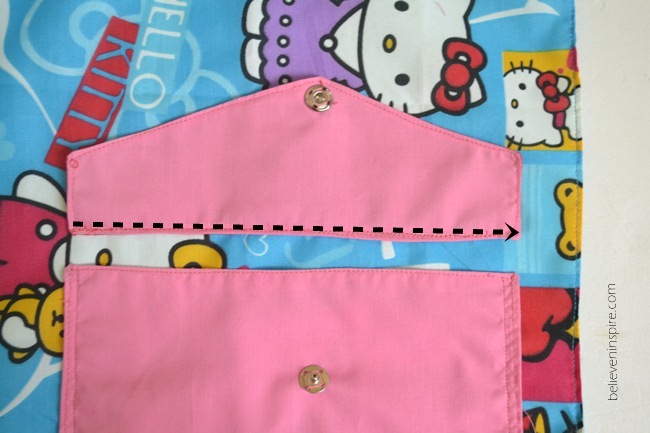 2 flaps for the pocket from the template. Place the exterior and lining together (right sides facing each other) and sew from all sides, keeping a small hole for turning the right side out. Clip the corners and turn. 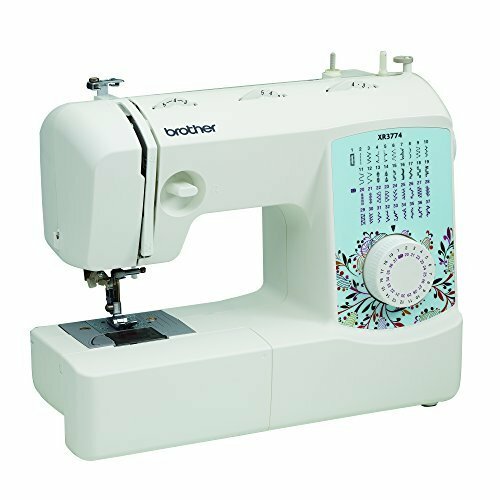 Check the fitting, if the cover is exceeding more than ¼ inch from the sides then you need to shorten it. It might take one or two tries to get the perfect fit. After the fitting is done, turn the fabric right side out and do a top stitch on the widths. 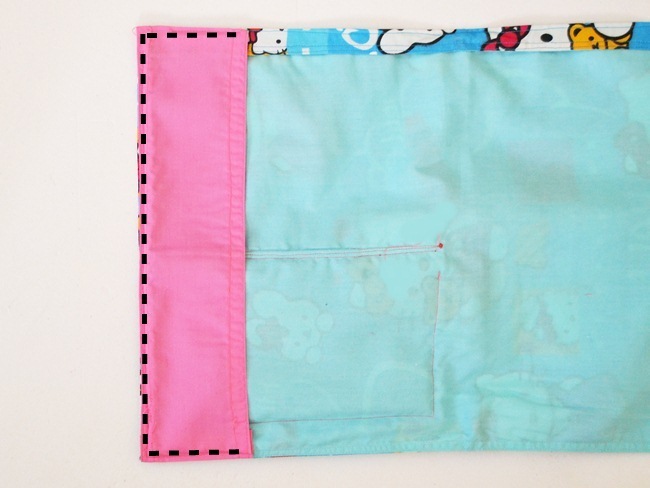 Take the rectangles for the pockets, fuse them with the interfacing, place the two right sides together and sew from all sides leaving a small gap. 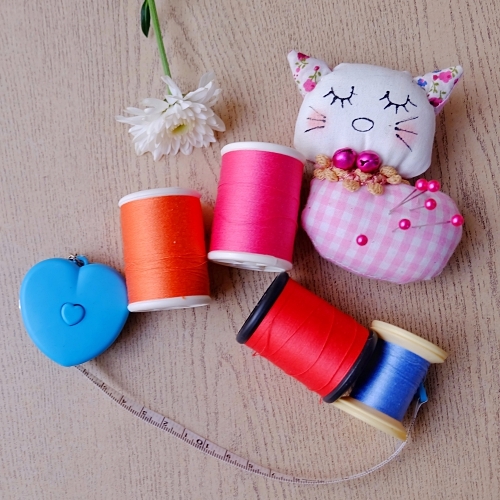 Clip the corners, turn the right sides out and do a top stitch. Repeat the same steps with the flap. 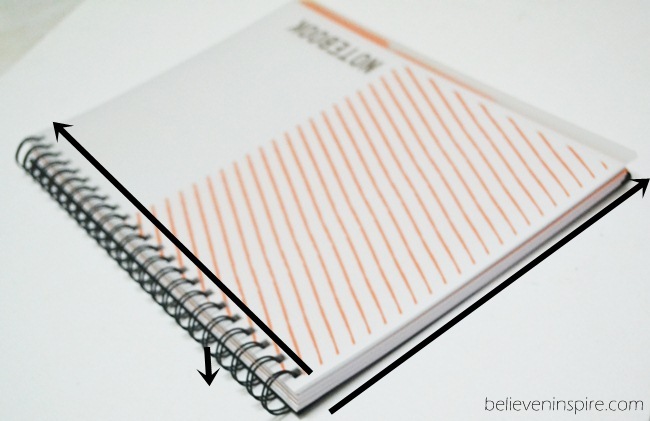 Place the rectangle onto the notebook cover so that it is 1.5” away from the side and bottom edge. Pin and sew from three sides leaving the top open. 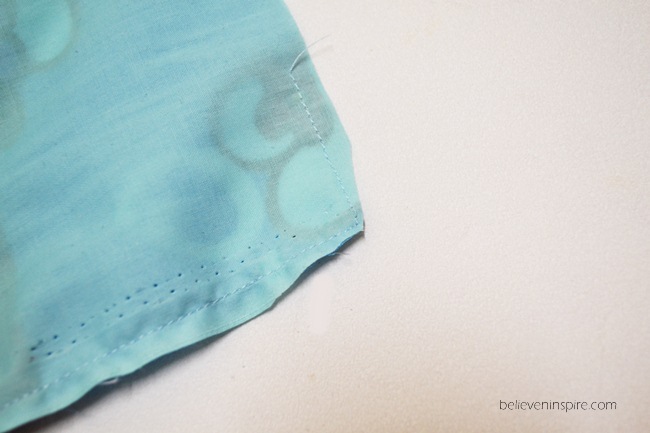 Place the flap ½” away from the top and sew. 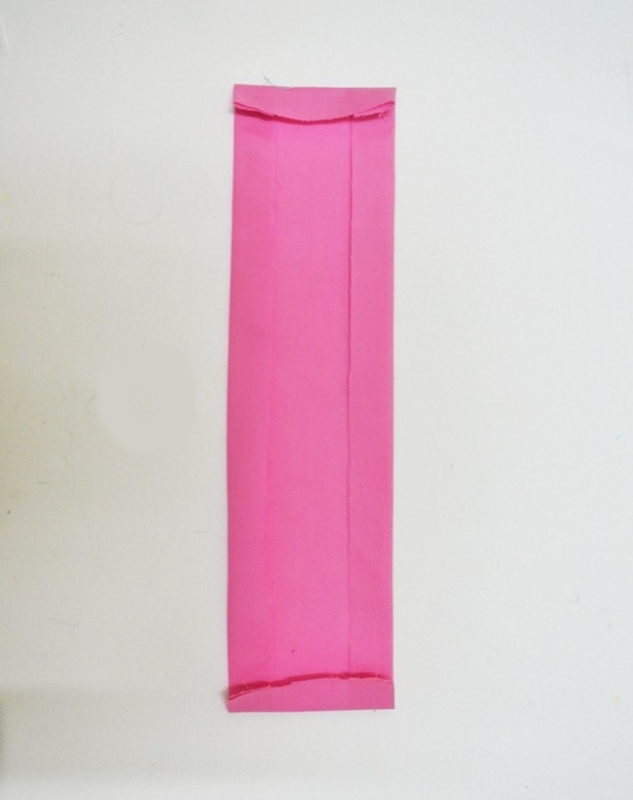 Take your two long rectangles, fold them from edges as shown and press. 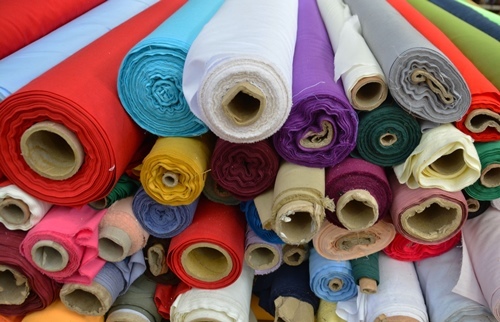 The height after folding should be the same as the height of the main fabric. Sew along the edge after folding. Then tuck the raw edges in and sew again. 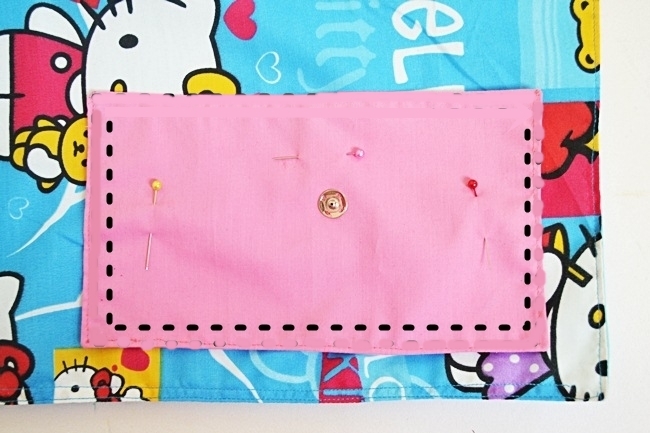 Place the rectangle onto the cover and sew along the edge as represented by the dotted lines. Repeat the same for the other side and you’re DONE! PS. 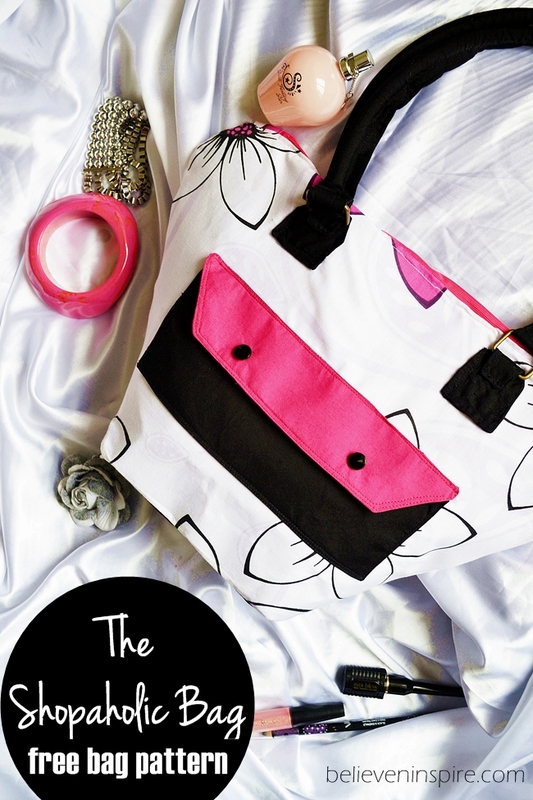 You might also want to grab the free pattern for this bag. 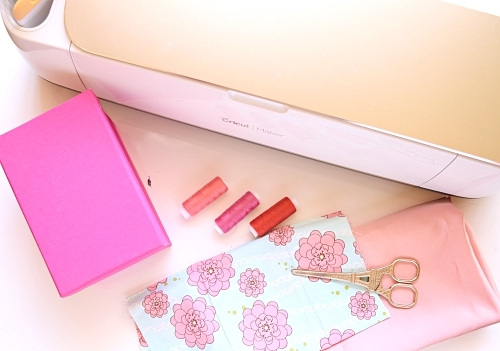 I really like that Hello Kitty Fabric! 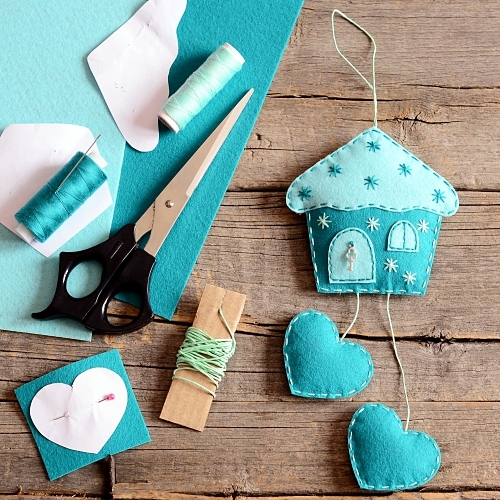 So cute and crafty! 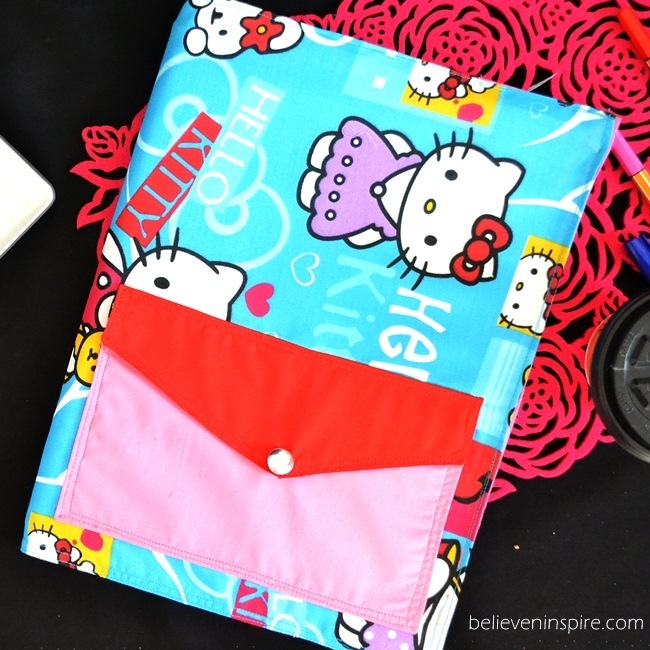 Love your notebooks and the pocket is such a GREAT idea!!! What a cute idea!! 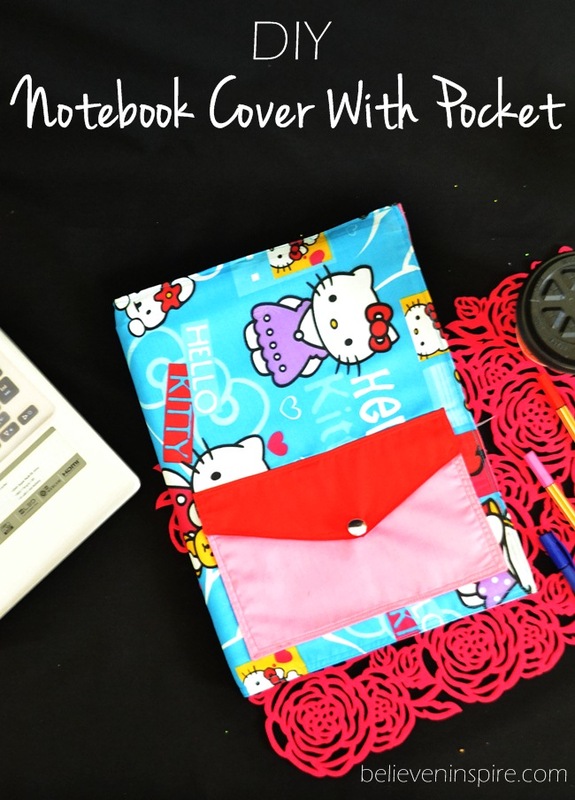 Thanks for linking up to my link party! 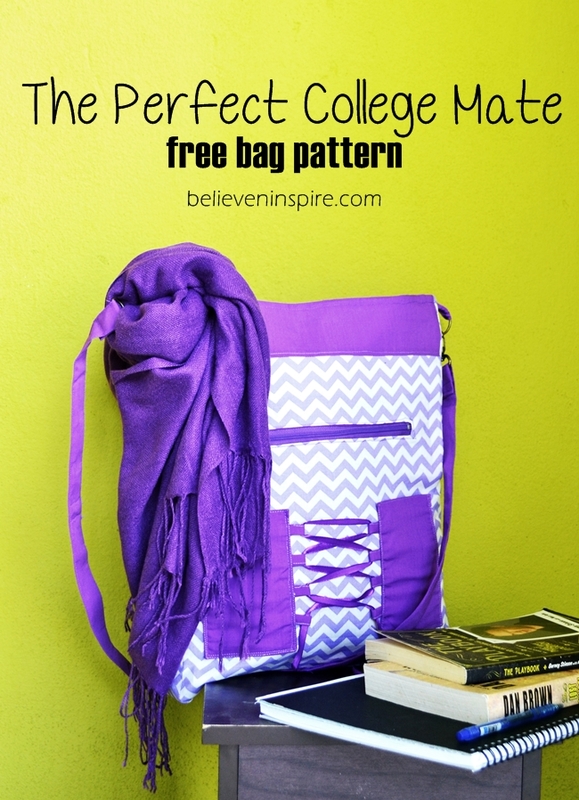 great idea and love the fabric choices! Appreciate the tute!! Oh, slide pocket sounds cool! I would love to see how it turned out.